For lovers of local food, an eagerly-anticipated event has arrived; the return of locally grown asparagus to the shelves and stalls of Cornish farm shops and markets. 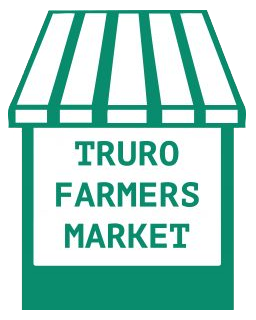 And, thanks to some early spring sunshine, Truro Farmers Market is ahead of the game when it comes to the much-loved green shoots. Award-winning asparagus grower Tregassow Farm returned to market earlier than anticipated last week, with the very first spears of the season; the British asparagus season traditionally starts on 23rd April. The Keelers always sell out quickly as, deprived of this seasonal delicacy for most of the year, the public beat an eager path to their market stall. British Asparagus is said to be the best in the world as the UK climate allows it to develop slowly, producing a full, sweet flavour and fine texture. 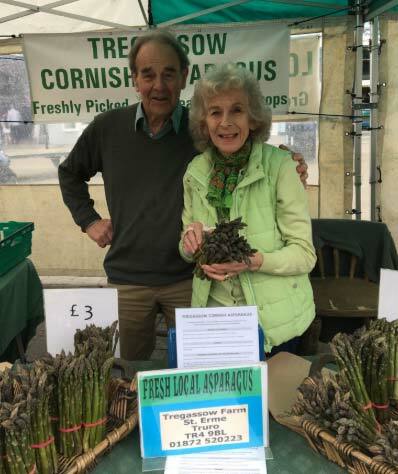 Tregassow Asparagus has won multiple awards and is especially known for its tenderness and delicacy of flavour; John and Jennie have been growing asparagus on their farm at St Erme for 17 years and sell their crop to top local restaurants as well as at market. The market offers various local accompaniments for freshly cut asparagus; try it prepared simply with a drizzle of Olive Oil from The Cornish Olive Stall, with poached duck eggs from The Cornish Duck Company, or served alongside fresh fish from Kernow Sashimi – sparkling wine from Bosue Vineyard is a delicious wine match. ← No Shortage Of Fresh Veg At Market!